Sometimes it can be difficult to settle on just one construction plan or to envision some elements of your future house. In addition to the information we have shared on our site for plans and building options, we maintain a project gallery and regularly share articles to help our customers with their design. Take a look at pictures from some of our favorite projects to get some ideas of what is possible when you build your own home with Owner Builder Network. We would be happy to discuss these and further examples with you in detail. In addition, we have compiled tips, statistics, trends, and product information in helpful articles that you can review at any time. This can be a great way for you to find some inspiration or reassess the feasibility of current ideas. There are so many benefits to building your own home, and we want to help you realize your dreams in any way. Let us know if these pages have been a help! Whether you want to build your home in a jiffy or take a little more time to make sure your home has a unique design, we have options for you! We have three amazing options which our customers can choose from. We have our Owner Builder Network Basic plan, Basic plan + fast start, and our Custom plan. Each plan includes full transparency of costs and you the homeowner always control the checkbook. Every plan has additional features which are not included in the other plans. We hope you take the time to take advantage of our packages. Are you ready to start designing or constructing your custom home today, but have a land or lot payoff? Owner Builder Network (OBN) can help you roll your land/lot payoff into your construction loan. 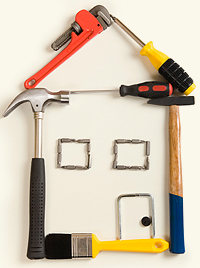 At OBN, we can help you get your custom home underway! Owner Builder Network: Dallas/Fort Worth has helped over 1600 families in the past 16 years! 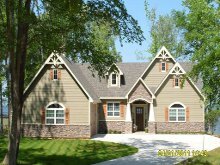 Contact Us today to see how you can be an Owner Builder Network homeowner bursting with pride by Being Your Own Builder!